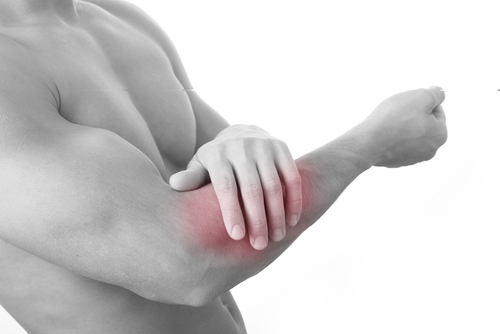 At the Centeno-Schultz Clinic we acknowledge that lateral elbow pain can be debilitating and impact daily function. Not all lateral elbow pain is lateral epicondylitis as illustrated by a recent patient seen in clinic. Joey is a 17 y/o hocky player with 1 year history of lateral elbow pain which was constant, progressive in nature and aggravated with rotation of his palm upward (supination). He has undergone PT, trial of NSAID’s, heat, ice and 2 steroid injections without relief. High dose steroids have signficant side effect both on tissue and stem cell function. Joey had compression of posterior interosseus nerve which was confirmed by MSK ultrasound. Treatment options include US guided Regenexx PL/SCP injections and possible hydrodissection. A patient’s testimonial illustrates the potential of treating nerve injuries with ulrasound guided platelet therapy. The posterior interosseous nerve (PIN) is nerve in the forearm. 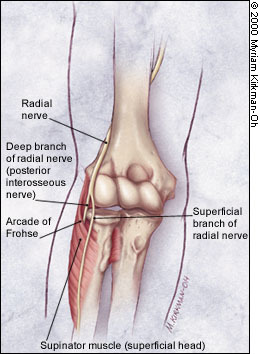 It is the continuation of the deep branch of the radial nerve. It passes thru supinator muscle in its course from anterior to the posterior surface of the forearm. The PIN may become entrapped at the tendinous border of the supinator known as Aracade of Froshse. Posterior interosseous neuropathy is purely a motor syndrome resulting in finger drop, and radial wrist deviation on extension. Other causes of PIN dysfunction include trauma, synovitis, tumors, and iatrogenic injuries. 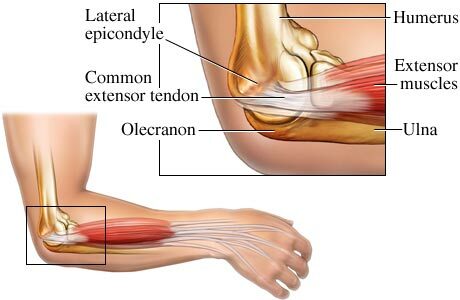 Pain with resisted supination of the forearm. Pain with resisted extension of extension of middle finger. Tenderness over lateral epicondyle and distally over the aracade of Froshe. Platelet rich plasma (PRP) therapy is the use of a patient’s own platelets to accelerate healing. It is termed rich because the platelets are concentrated, typically 5-10x above the concentration that is circulating in your blood. PRP therapy has been used for a number of different indications including wound healing in surgery,tendinitis, cardiac care and dental health. Platelet-rich plasma (PRP) therapy made headlines following the Super Bowl, when it was revealed that Pittsburgh Steelers Hines Ward and Troy Polamalu had undergone PRP injections in the days leading up to the game. There are distinct differences in platelet rich plasma . Most PRP is created by a bedside machine that creates a platelet concentrate by spinning (centrifuge) the blood thereby separating the platelets from the other blood products. A cell biologist in a laboratory, however, is able to separate the platelet from other blood products and so much more. A cell biologist can create PRP that is pure and free of any red or white blood cells. A machine cannot. 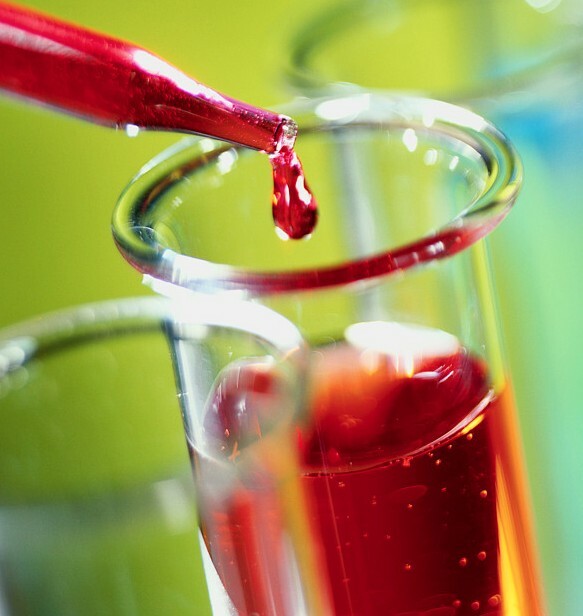 A cell biologist can create PRP in a specific concentration for specific indications. A machine cannot. A cell biologist can make PRP that has a very high levels of specific, naturally occurring growth factors such as VGEF, vascular growth endothelial factor. 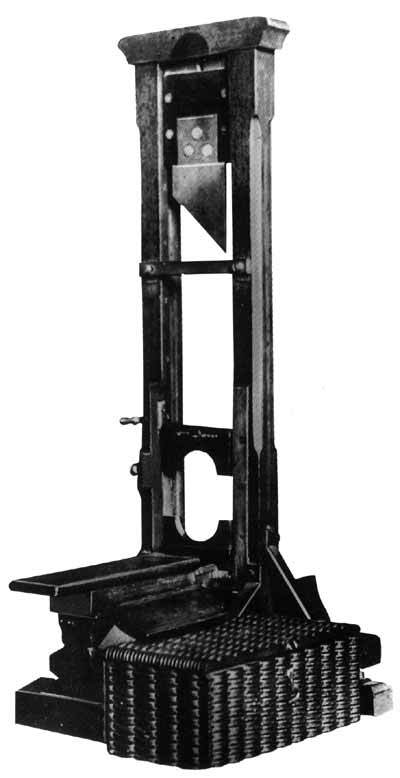 A machine cannot. At the Centeno-Schultz Clinic we are not reliant on a machine. Rather through the use of a state of the art lab with full-time cell biologists we are able to provide our patients with customized PRP therapies that are specifically designed for them. This is the critical difference which translates to improved outcome. Regenerative medicine therapies include prolotherapy, platelet rich plasma injections and stem cells. Platelet rich plasma (PRP) involves the use of platelet derived growth factors in the healing of tendon and muscle injuries. 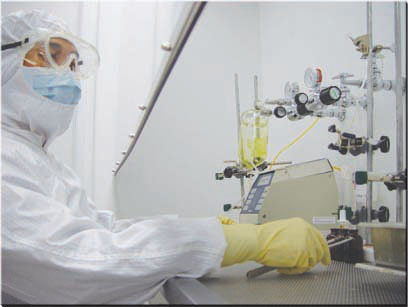 The process includes collection of a patient’s blood with isolation and concentration of the platelets. The concentrated platelets are then injected into the damaged tissue accelerating the healing process. PRP therapy has made the headlines and utilized by many professional athletic teams. According to Robert J. de Vos, M.D., in his recent publication in the Journal of American Medial Association, PRP injections did not significantly improve pain or activity level in patients with long-standing history of Achilles tendon irritation. 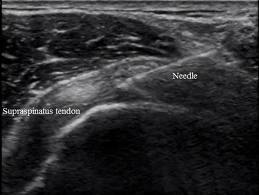 What this article did not discuss was the therapeutic effect of simply irritating the tendon (percutaneous tenotomy) which has been demonstrated to be effective. 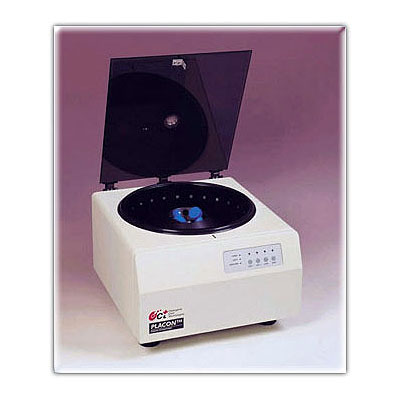 Regenerative medicine has an increasing number of tools. At the Centeno-Schultz Clinic it is our goal to utilize the appropriate regenerative therapy for the best possible clinical outcome. Saw a patient in clinic today who graciously has allowed me to share her tale. 35 y/o female with 5 year history of pelvic pain which was constant induration, 5/10 in severity, localized at the level of her pubic bone with radiations into the left groin. The pain was sharp in character, progressive in nature and not associated with any trauma. It developed after the birth of her second child. Pain prevented her from exercising, lifting and caring for her children and focusing on her work. Two continents, 12 doctors, CAT scans, MRIs, exploratory surgery, hernia repair, trial of muscle relaxants, narcotics, physical therapy had not afforded the patient any pain relief. Physical examination was significant for acute tenderness directly over the pubis symphysis. The pubic symphysis is a joint composed of cartilage which joins the two pelivc bones together. It is rich in ligaments and tendons. 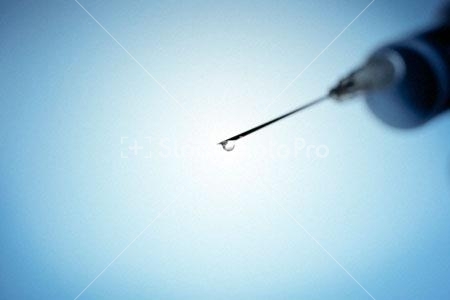 Prolotherapy is the injection of ligaments to initiate a healing response. No steroids are used. Three session of prolotherapy provided the patient with 80% reduction in her pain. Intermittent x-ray was used to confirm accurate placment of both the needle and medication . Prolotherapy has been effective treatment of many ligament disorders at the Centeno-Schultz Clinic including elbow, knee, ankle and pelvic pain.